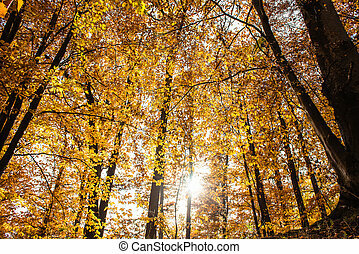 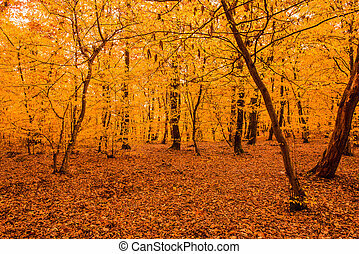 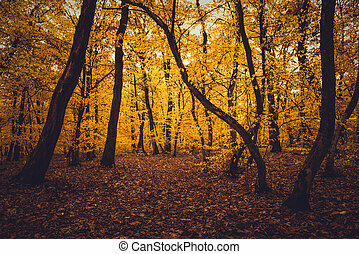 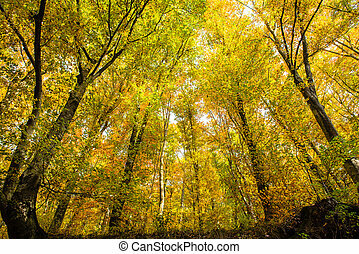 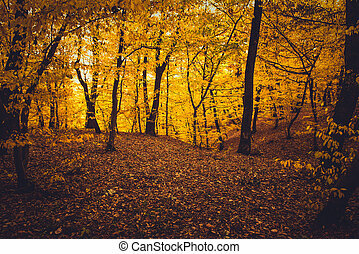 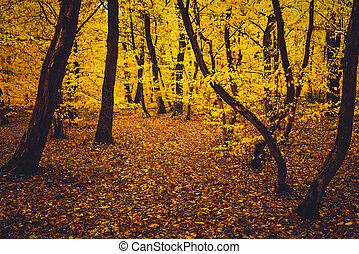 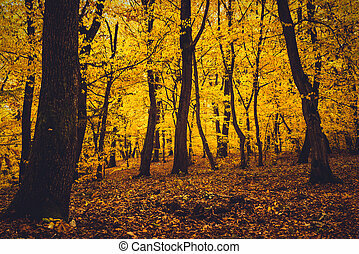 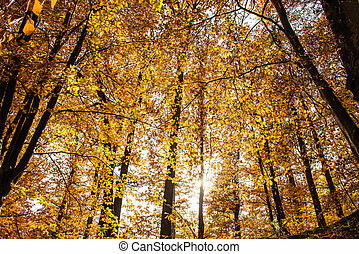 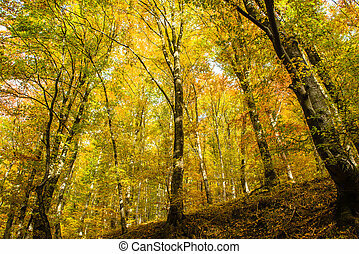 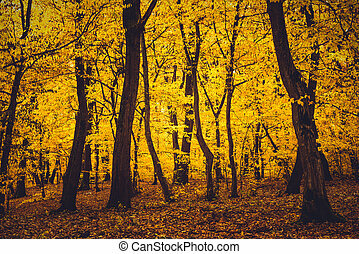 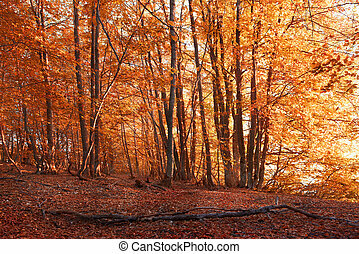 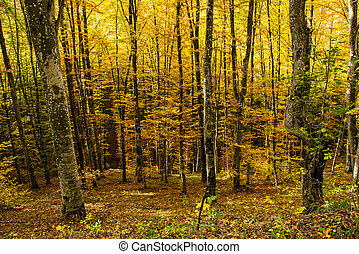 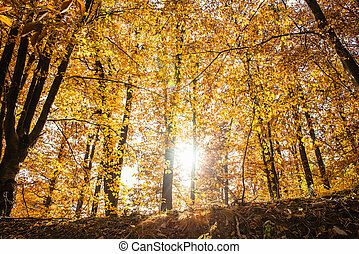 Autumn forest with yellow leaves. 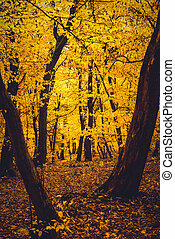 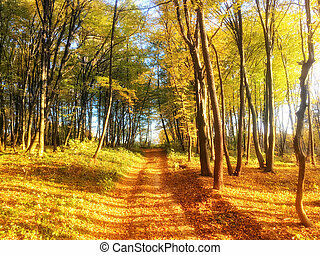 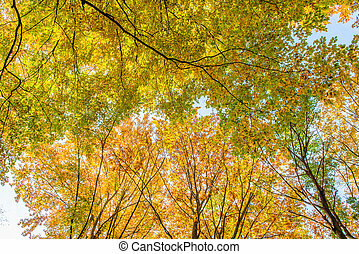 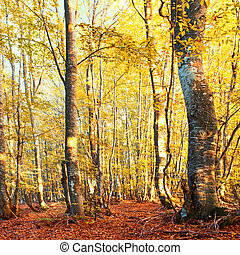 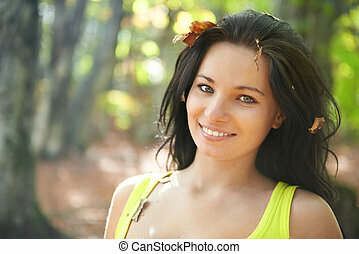 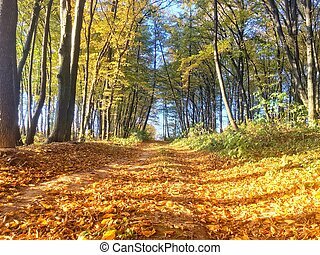 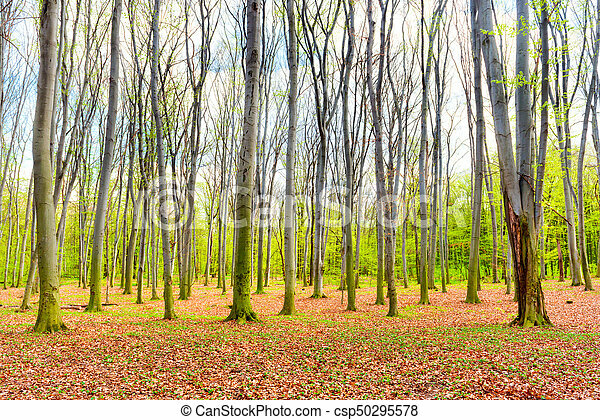 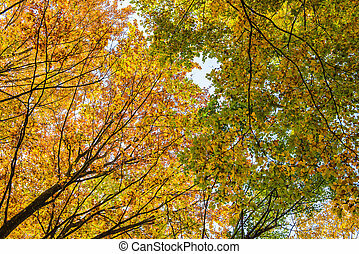 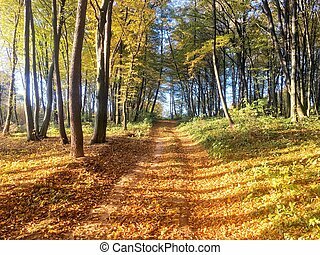 Autumn forest with yellow fallen leaves and green trees. 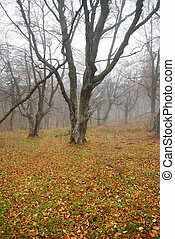 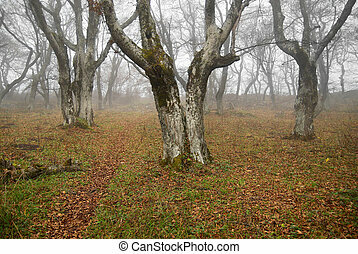 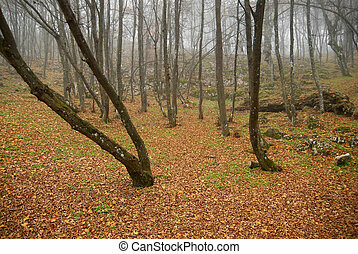 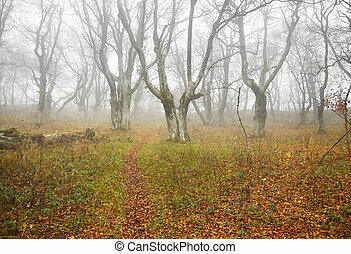 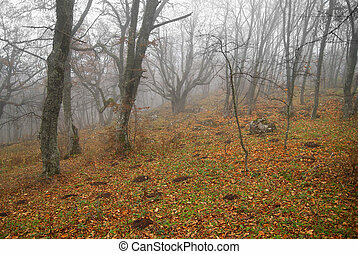 Autumn misty forest with fallen leaves.